Nuns Moor Park is a great place, when it’s free of litter! 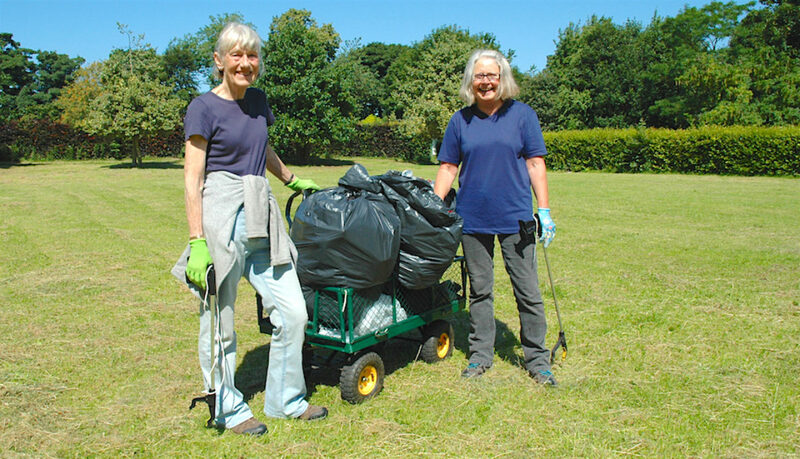 That’s the opinion of local residents Jill Dales and Alison Pride, who are so determined to keep it that way, that they’ve started their own regular Monday volunteer litter picks. This is what they told us. “It is used and enjoyed by so many people of all ages and backgrounds, for a whole range of activities such as barbecues, playing in the playground, meeting friends, chatting, having picnics, riding bikes, walking dogs, playing tennis, cricket, football, listening to and watching the birds…the list goes on! “The disappointing thing is the litter. Dropping litter and leaving rubbish is anti-social behaviour and makes the park look uncared for and creates an unpleasant environment in which to spend time. “Despite there being plenty of bins, rubbish and litter finds its way to the ground. Following busy sunny days in particular, the park is often left in a mess – with crisp packets, bottles, cans and other litter strewn about. Frequently the contents of bins are deliberately tipped onto the ground or set on fire. So, Jill and Alison, local residents and park users, have decided to do something about the problem. Every Monday, “come rain or shine”, they meet 10am at the park’s Bike Garden for an hour-long Nuns Moor Park clean up. They’ve created a small team of adults and “a very enthusiastic” 4yo, but need more volunteers. The Nuns Moor Park litter picks will take place Mondays 10-11am, followed by refreshments and “a natter”. The meeting place is the park’s Bike Garden, accessible from Brighton Grove or Studley Terrace.